I feel like a little kid tonight. My new camera arrived – a Nikon Coolpix p510 – I was so excited to open the box! I really enjoy taking pictures, but I’m not ready (nor can I really afford) to spend big money on a camera. This one was highly recommended, and is in my price range. 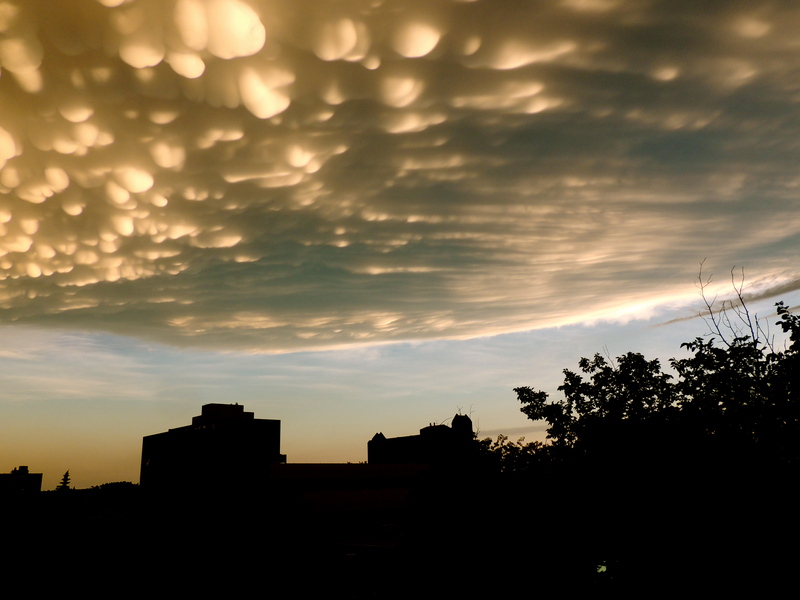 The real reason why I feel like a little kid is because we just had the coolest cloud formations over the city after a brief summer storm. There were tornado watches across the province all day. There was a feeling of anticipation in the air. I’ll admit, I wanted something to happen. Not a tornado, of course. Maybe just some wicked lightning and a few good kabooms of thunder. The storm passed fairly quickly. I went out on my balcony after it stopped raining, and saw these. Amazing. 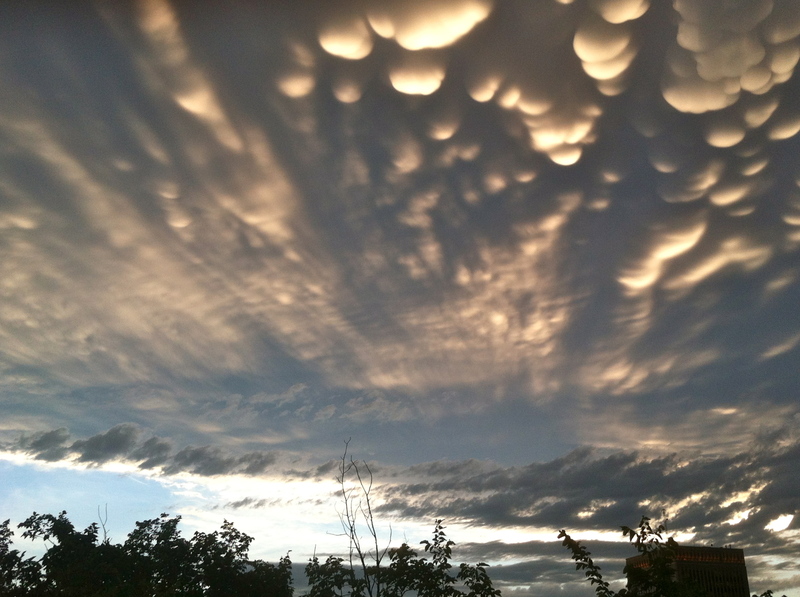 I’ve never seen clouds like these before. 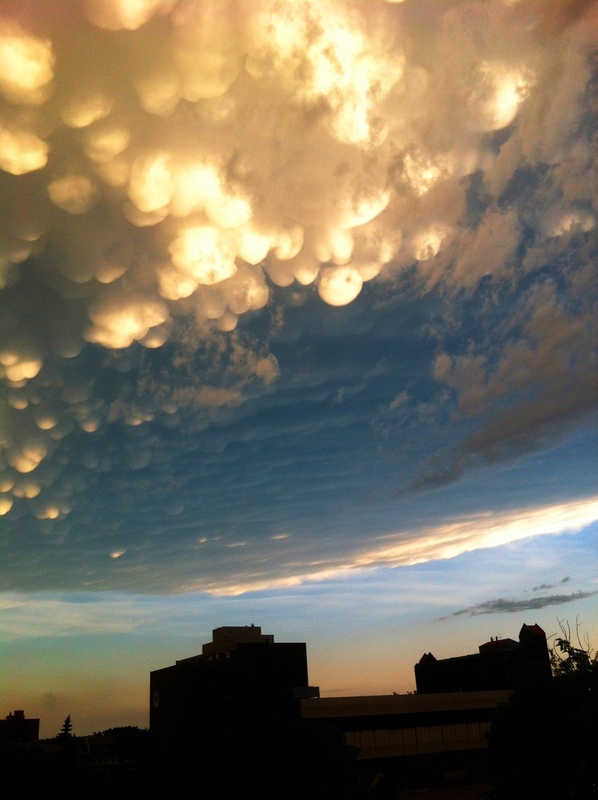 I posted a quick pic on Facebook and a friend told me they are called Mammatus clouds. So exciting to see something I’ve never seen before! Went down to the street to see what the clouds looked like from that angle and took this picture on the east side of my building. 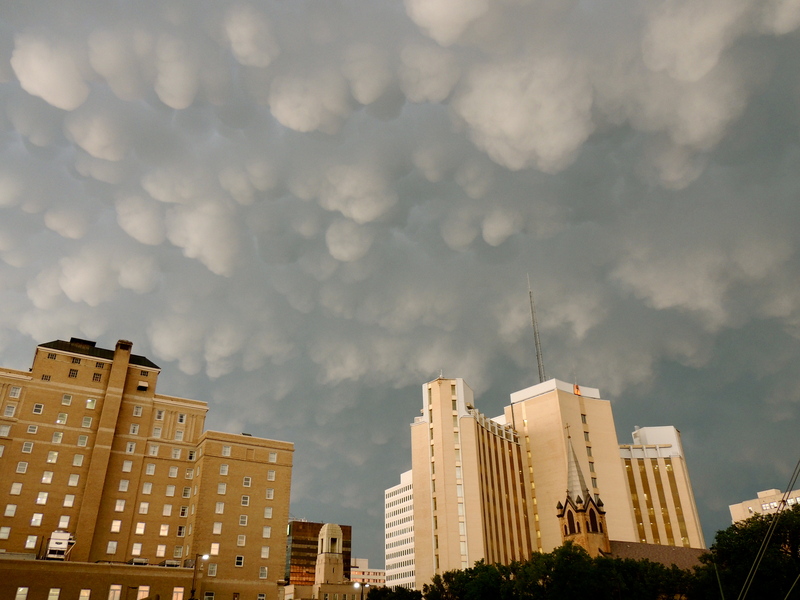 This entry was posted in Photography, Writing and tagged Canada, Clouds, mammatus, nature, nikon, photography, Saskatchewan, storms, summer, tornadoes, weather, writing. Bookmark the permalink.